The new adults' guide to green living. Recently, I started my first job. I joined the workforce that turns many revolutionary- and innovation-minded young adults into societal zombies. These zombies are what make up most of the population: people with dreams and goals that are subdued by the monotonous need to work to live. The blinding force of having a job prevents many people from remembering how to see the bigger picture. Since work is necessary to have money, money drives these zombies’ lives – not ideals and morals. It is why we choose the high paying corporate job over the low paying environmental job. It is why we eat, work, eat, sleep, and repeat. Look: even I haven’t had time to post since I started. But there are ways we can bring change into our busy lives, even when we think we are too tired from the work day to do so at home. In small ways we can make the workplace a little greener at a time. I work in retail, which is fitting for a first job and something that I surprisingly enjoy greatly. Of course, as I often complain to people and in writing about American consumerism (another form of societal zombie-ism), I made sure that where I work is a place that I can morally feel okay about working at. However there was one thing that I discovered when working on the floor for my first hour. 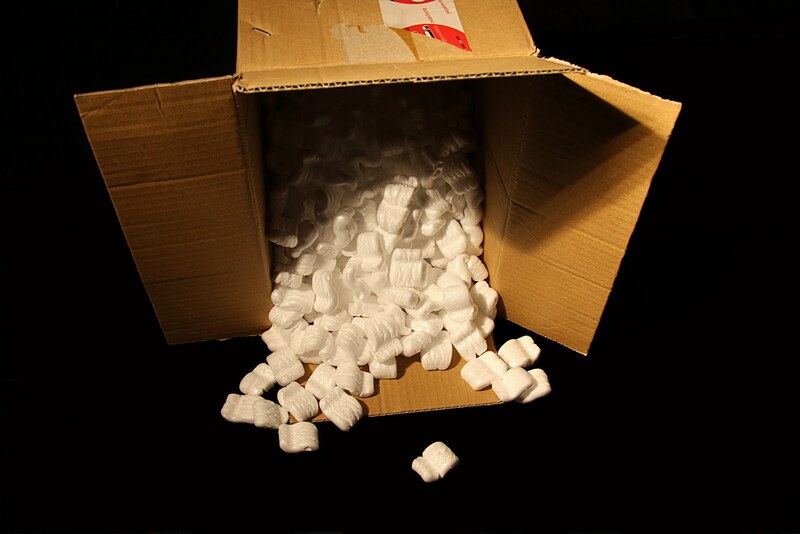 We go through a ton (or should I say tons and tons) of packaging. In training I was told to toss it. This isn’t plastic packaging but paper and cardboard. I was instantly disgusted by the lack of thought. But I didn’t feel that I had enough standing to ask my manager about it yet. I told myself that I would wait a couple weeks before asking her to change that. Then on one of my late shifts, I worked with a woman who gave me hope. She kept all of the packaging in one pile and when she was done, she didn’t bring the pile to the garbage cans located conveniently at the end of every aisle, but to the back room where (I didn’t realize) we had a recycling bin. We talked about the waste of packaging and how she, too, found it terrible that we throw so much away when it is so easy to walk a few more meters to the recycling bin behind the “Employee’s Only” door. Her initiative gave me hope because she’s not a green guru like me, a teenager with activism or the environment on her mind constantly, but a mom with kids and work on her mind. It is possible for people to be eco-friendly and live normally. So now, I carry a box around the store with me as I get rid of packaging and take the very little effort to bring the discarded paper to the recycling. My next step, which I’m not going to wait long to do, is to ask my manager about bringing some recycling bins out from the back and integrate recycling into the way we work. In my next post I will discuss more ways in which people can go green in the workplace. And how to go about doing so. New recycling page up and running. Not too detailed yet, but it lists a couple of places in Portland that I recycle to or plan to. You can also view the list by clicking the link at the top of the page. Budgeting…. That’s, like, for our parents, right? The idea of budgeting is great. In fact, it is rather necessary for both going green and keeping your life green. Starting out adulthood with even a rough budget can set you up for a much financially stable future. Knowing where your money is going can prevent you from wasting money and resources, by encouraging you to cut back, and can prevent you from getting into debt. The downside of budgeting: it is a bit overwhelming if you’ve never experienced one before. I grew up like most teenagers. I rarely had more than a couple bucks in my wallet or bag (often crinkled into a funky ball), and when I had a craving for chocolate or my friends wanted to go out to eat, I would whip it out and spend it. I wasn’t too liberal with my money. If I knew I had to spend it on something else, I could stop myself. A day later, however, I never had a clue what I spent the money on and rarely that I spent it at all. If I didn’t have any money, no big deal- I just couldn’t buy anything. Money was a rare but eventually renewable. When that source is your own paycheck however, suddenly it’s not so renewable. Suddenly, a budget seems like a brilliant idea. But where to start? There are many, many budget templates on the internet. The key to choosing one is finding one that best reflects your lifestyle and then tweaking it further to represent your lifestyle. You won’t need a “Gas expense” section if you don’t have a car but you probably will need “Public transit expense”. But as I set out to move out of my mother’s house within the next month, I know that I need to budget in a way that doesn’t allow me to fall into the hole that new adults often do. I will not allow myself to buy $.99 box pizzas or tv dinners (even if I could find one that is vegetarian). I am learning to eat in a way that reduces waste and improves my health. The best thing to do of course, would be to purchase food that is locally grown. That is something that I will work towards. For now, I am budgeting for fruits and vegetables, grain products, staple foods, high-iron foods (which I will discuss in a later post), and pasta, pasta, pasta. In reality, budgeting is not a huge endeavor. It only requires us to do something that Americans aren’t really used to – thinking. We are blind consumers. I believe there are two ways in which we can turn that around: budgeting and watching what we eat, especially becoming some level of vegetarian. · Figure out your sources of income after taxes – This of course is basic, but keeping in mind what you get after taxes is VERY important. You do not really make $8.40 an hour for 25 hours a week, you make a bit less. Budgeting for that gross amount can lead to some financial ‘WTFs’. 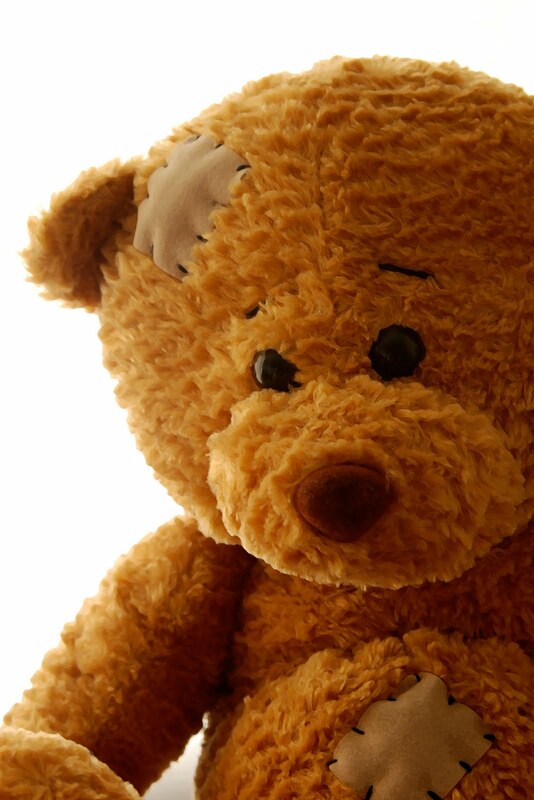 · Think through additional sources of income – do you receive child support? Do you have a side craft business? Do you babysit? At the same time, you may want to leave these additional sources out of your initial configuration. It will cause you to be stricter with your money and give you more savings than you would originally allowed for. However, if that money is necessary to pay rent AND eat, then of course add it in. · Next subtract your bills from your spendable money. If you live in a dorm, most likely you have already paid for this in your room and board bill. This is a great time in budgeting to see what you really need and what you need to cut back on. These days ever expanding capabilities of the internet, it is almost unnecessary to pay a cable bill. Call local providers and ask around though because in many cases, your internet bill can be combined with a cable package and may be cheaper than just internet by itself. Personally, I feel that television is just another source of vegetative state and an energy zapper. This part of budgeting will really make you think about how much water you use (those military-style showers are probably looking nice at this point) and how much electricity you allow to go to waste. · Next, factor in your transportation expense. Hopefully that is only public transit fare, or a small amount of gas money for trips to Grandma’s house. Even better if your bike leaves a big fat zero in this section. · Of course, it is best to be prepared. Leave some room for medical expenses. Personally, I am not too knowledgable in this area because my insurance is still paid for. You’ll just have to use your judgement in this category. · Give yourself a little bit of spending money because we all (hopefully) have social lives that require a bit of fun careless spending every once in a while. Just be conservative. 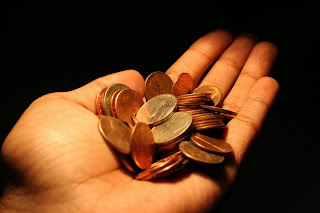 · I also gave myself money to spend on clothes each month. My work doesn’t have a uniform, so I need a good supply of work appropriate clothes that I can easily get from used stores. By cutting down and slimming your budget, you should have ample savings (unless you work few hours and your rent is extremely high). If you are like me and qualify for food stamps, even $50 in help can go a long way. Today I watched “No Impact Man ”, the documentary following one man’s experiment to live without any impact on the Earth. His ambition and perserverance is an inspiration for all of us. It shows that we really don’t need much beyond love to live. I highly recommend watching it. The documentary shows that budgeting not only your money, but your life, can go a long way. The picture was black and white, contrasting to the glossy paper of the new book. Twelve grey wolves hung upside down from their hind feet, tied to hooks on the side of a simple shack covered in snow. Two more of the lifeless creatures sat in the snow, legs tied, ready to be hung up alongside their brothers. The caption told me that these wolves were captured as part of the Minnesota government predator control program. As a nine-year old in my elementary school library, it was this picture in The Wolf Almanac (Robert H. Busch) that I looked at for what could have been hours. The pictures of adorable wolf puppies with blue eyes or majestic adults striking mysterious poses did not affect me the way this picture did nor has any since. Years later, I would purchase this book not for the information it gave but because of the picture I knew that was in it. This picture is what set my path. I fell in love with wolves at that moment that I first had seen the photo. The wolves lost in an eternal run from their aggressors tacked to a wall would change my life. From then on I knew that I would have to do something to help these animals that I felt had undergone such injustice. It would be many years before I realized that I could use my writing to help not just wolves but the environment as a whole as an environmental journalist. As I enter college as a freshman in the fall, I have not had opportunity to explore this theory fully. Yet, I have done what I felt that I could (although I know I could have done much more). I wrote the green column for my high school paper, telling students how they could help the environment without spending money, “Go green without spending Green” was my motto. There are many stories to tell of my love affair with wolves, with writing, and my evolution into a green guru among friends. But recently, I encountered photos that wrenched at my heart very similarly to that of the wolves hanging on the wall. In reading my main source of news, Treehugger.com, I stumbled upon a set of slideshows titled “164 Photos to Change Your World, One Shot At a Time”. One of these slideshows “An Ocean of Plastic… In Birds’ Guts” did in fact change my world. 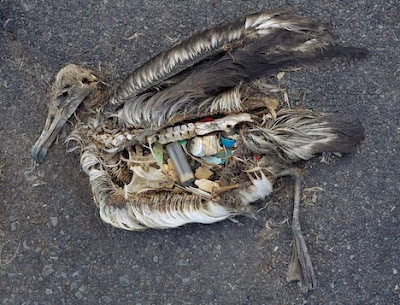 The collection of photographs taken by Chris Jordan in Midway Island showed the decomposing bodies of ocean birds and the rummage of plastic junk that filled their stomachs. According to David DeFranza, the photos are of birds that “have been fed plastic litter by confused parents. “ Picture after picture shows the same basic idea, tearing at your heartstrings with every click to the next slide. Shocked, I showed the first few shots to my mother. “Where did all the plastic come from?” she asked. The Great Pacific Garbage Patch is the answer. But the larger answer is that we have fed those birds the plastic bottle caps and the empty lighters. A short explanation is that our plastic garbage makes its way to the ocean from garbage dumps. When the plastic reaches the ocean, the currents bring it to the North Pacific Gyre (or North Atlantic Gyre if you live on the East Coast). Here, the plastic is forever trapped by currents in a vortex-like patch in the middle of the northern ocean. This “patch” is not a simple freckle on the Earth’s surface; it covers an area that has been estimated to be twice the size of the state of Texas. You can’t find the patch on Google maps, I have tried many times. There are few books on the subject (none of which I have heard of before combing the internet for them specifically). The subject is simply not in our faces. Like my mother, many Americans will see photos of it or hear of the Great Pacific Garbage Patch, but most will quickly return to the energy-sapping television sets that were already playing in the background before their pesky tree hugging-hippie daughters interrupted with disturbing images. Many will call this a flaw that scars Americans, but a lot of people simply can’t engage or become emotional about something that doesn’t directly affect them. This is why I set out to learn more about these birds, their lives, and the great garbage dump that we have created with our careless consumption and tossing of waste. I hope to find out more, maybe even see it for myself. I want to learn more about this human error and what I can do to help. If there’s one thing that every new adult can understand, it’s finding easy ways to earn and save money. I love being thrifty and finding new ways to do this. That’s half the reason I write this blog. One of the principles of living green is living simply. Less stuff equals less waste, less production, less dependency, less, less, less. Less is more as they always say, especially more money. Lately I have been going through the seemingly endless boxes of junk that I have accumulated over the past eighteen years (most of which not to my knowledge). For me, this process has been therapeutic- symbolic of cleaning out my life and starting on this crazy adventure of adulthood. These trips to the recycling bin have been numerous, the trips to the garbage few, and the trips to donation bins and locations satisfyingly many. Have I used this in recent history? Would I enjoy this more than someone else? Will I even remember this once it’s gone? There is a good chance that most ‘things’ in your house, you would actually say no to these questions about. It is one thing to be a sentimental person, but a completely different thing to be a packrat. It is a great feeling to clean out the clutter in your life. So if you answered no to these, bring the item somewhere you can give it away or it can be recycled. Set it aside in a bag or a place in your house/apartment/dorm that is neither in the way or so far out of the way that you forget about it. Once enough items accumulate, you can bring the items in; that way you aren’t wasting time, money, and likely gas by making too many trips. For example, I have a box for used batteries and gift cards that I will eventually turn in. I also have a bag for old clothes, and one for old shoes. So what’s the kicker? What’s the real reason besides reducing waste to donate and recycle your old stuff? The answer is: money. Americans’ favorite reward. More specifically: tax deductions. If you bring enough items to donate at a collection location you can get big time tax deductions. Just this past month, I brought a huge (and when I say huge I mean that it can no longer be brought onto a plane) suitcase full of my old baby and kid clothes that my mother had saved. I lugged that suitcase 14 blocks down to the local used clothing store and they handed me a $100 tax deductible slip. About a week later, I packed over 70 stuffed animals into six reusable grocery bags, climbed onto the bus and brought them to a family aid center. Once again, $100 tax deductible. But of course, for me, my favorite kind of donation is the personal one. The look on two little girls’ faces when I hand them a crate of toys is the warmest feeling. Or bringing my nicest baby clothes to an expecting mother. You don’t have to get cash benefit from donating to enjoy it. But either way, by donating what you don’t need, helps others, helps yourself, and shares the idea of reciprocity and community with those around you. For ideas on where to recycle or donate just about anything visit: earth911 . Soon I will include a page on my site for places in Portland, Oregon to donate just about anything. The other day I fell in love with a car. Which to me seems strange. I am supposed to be Miss Eco-friendly, and yet here I am biking by a 1987 Volvo 240DL every day to look at it. I think that it seems even stranger to me because I live in Portland, Oregon, which is ranked on some lists as the greenest or second greenest city in the world. It is the city of bikes and public transportation. We are paying tax dollars to build a bridge across the Willamette for bus, bikes, and pedestrians only. We have closed roads off to cars for bikes. It’s almost harder to park a bike in Portland than it is a car. So why on Earth would I ever need a car? The answer is not wholly justifiable. There are some things that simply need a car. For me, a portion of that is getting a job. Sure, I can bus anywhere in the city. But I can’t just bus anytime. If I get a job that is a night shift or in a part of town in which I don’t feel completely safe, a car is necessary. Also my adventures into the forests of Oregon easily accessible without a car (except Forest Park). But this is not my resignation from travelling green. I am addicted to biking. I love biking in Portland. There is a culture here surrounding biking that I doubt I could find anywhere else. It can even be a tourist attraction to some. I worked as a volunteer at a concert festival as a bike valet and people were taking their pictures in front of the hundreds of bikes. People from other cities couldn’t believe that so many people rode bikes here. I don’t even mind the public transportation that much. When I get passed up by a bus or it comes too late, of course I yell obscenities and curse the public transportation gods. Yet, I have rode buses and MAX’s my whole life. I only struggle with coming up with the $1.50 in change. I, the Green Stump pledge in the event that I purchase a car and gain my license, that I will only use it in circumstances that I cannot easily utilize public transportation or my bike. Living in Portland, I don’t think that I will be able to avoid bikes or public transportation. I will always have a constant reminder of this pledge. There is also a financial advantage of making this pledge. A bike doesn’t cost anything but upfront and maintenance. The bus only costs a couple dollars every two to three hours. A car costs fuel, maintenance, insurance, and more. Falling in love with a piece of clunky machinery doesn’t mean I won’t forget my love of the planet. Saving the planet, military style? As Blue August comes to an end in the next couple days, I wanted to get in at least one post about what we can do to help with water consumption. I have been asked several times why we worry about water consumption when there’s obviously so much water on this planet. The answer may seem obvious to some, but many people wonder the same thing- even I have at one point. The reason that we need to conserve water is that with the 7 billion people on this planet, and First World lifestyles, we are consuming more water than the natural water cycle can replenish. We are polluting faster than water can be cleaned naturally and artificially. While we talk about our carbon footprint, we should worry as well about our water footprint. The average American consumes 2,500 cubic meters a year (compared to 600 to 800 for the average Chinese). Now these numbers are nice and everything, but I can’t just picture 2,500 cubic meters in my head. To give you an idea, that water footprint we all make is, according to Treehugger, the same as an Olympic-sized swimming pool. Humans at our most basic needs only need a little over 180 gallons of water to survive. Of course, with our culture and society it would be impossible to live a high standard of living with that little of water because water goes into absolutely everything we make- food, clothes, appliances, etc. and etc. What isn’t impossible is recognizing that we need to cut down our water consumption and taking action to doing so. Remember that Olympic swimming pool? That swimming pool metaphor for our consumption is equal to 660430 gallons of water – that’s over 3,669 times what humans need to survive! So next time you take a shower or leave the water running in the sink, think about that. I have always been raised to not leave the water running in the sink; it cost too much money to waste. So when I see green tips on turning off the faucet while brushing your teeth, I think, “Well, duh.” But as I have grown older, I have seen way too many people that do not do this. For Blue August, a month designated by the environmental protection community in honor of our oceans and water, I decided that I was going to make an adjustment to my lifestyle that would reduce my water footprint. I live in an apartment so I do not have the option of purchasing a low-flow showerhead (however, I do plan on speaking to my manager in the future about it). I started taking what I have heard as military-style showering. I get in the shower, rinse myself down, and then turn off the faucet. Once I’m all lathered and soaped up, I turn the shower back on and rinse off. This cut my water usage from 2.5 (estimated) gallons per minute at 10 minutes to 2 minutes. I thought that I wouldn't enjoy showers as much anymore, but it has not been a sacrifice at all. Some days, I can't help but run the water the entire time. I don't think that it is terrible to "spoil" myself every once in a while. The best part of it is that I feel good every time I shut off the water. Another great way to save water in the bathroom is to reuse towels. It may sound gross to some who wash their towels every time they use them, but for me it comes from a time when my family did not own a washer or dryer and had to travel 3 miles on the bus to get to a laundry mat. It saves water and hassle. Sure, shower towels won’t last forever without being clean, but if you wash properly in the shower you shouldn’t get them disgusting very quick. I personally use one towel for most of a week and then trade out. When I thought about how much I do in fact conserve water (and of course how much I waste it in other ways), I wanted to find out how much water I truly use. I stumbled across this great calculator created by the USGS (US Geological Survey) that can roughly calculate just that. When I plugged in some estimates I came up with 61.24 gallons a day. That’s a third of what I human needs to consume in a year! I couldn’t believe it. If you want to find out how much water you use in a day you can follow the link: How much water? 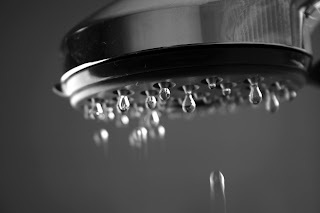 As I could write on and on about ways to conserve water, here’s another great link that is useful for developing a water conscious lifestyle: 100+ Ways to Conserve Water. Although the list is definitely aimed for home-owners, much of the list can be applied to us young adults in dorms and apartments, and most definitely for those that rent a house. The great thing about water conservation that we can gain as we look hopelessly at our low balances in our bank accounts is that water conservation saves so much money. That saved money- and that saved water- goes a long way.